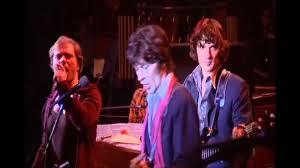 In a scene from “The Last Waltz” film, the Band’s bassist-vocalist Rick Danko sits at a studio mixing board with director Martin Scorsese and plays back a track he’s been working on for his upcoming solo album. These interviews were filmed in 1977, after the original group’s guest-star-studded farewell concert on Thanksgiving Day in 1976. In response to the filmmaker’s question as to what’s next for him, Danko’s chipper reply of “just trying to keep busy” is tempered when he lowers his head while listening to the playback. Re-watching the film recently for a piece I’m writing, it all just seems so sad. The thing is, once the Band was gone you had five potential solo artists instead of one beloved group and in the crowded rock marketplace that can be a tough sell. 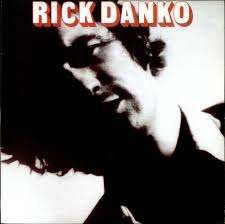 It was much easier to see the Rick Danko album as Band-lite and it was lightly regarded by the press, didn’t sell well, eventually went out of print and has had a patchy history at best on CD. Luckily, all tracks are available on YouTube if you want a listen. Speaking of “The Last Waltz”, you can have your “I Shall Be Released” all-star sing-a-long but for my money the film’s theme-defining moment comes half-way through. In a remarkable vocal performance that is both fierce and vulnerable (and pushed along by Garth Hudson’s mad-scientist organ), Danko delivers “Stage Fright” as an all-encompassing cri de Coeur for all those star-crossed performers who “got caught in the spotlight” only to want to “start all over again” at the perceived finish line. Danko, both in re-formed versions of the Band and as a solo artist, carried on until his death by heart attack in 1999. Founding Procol Harum member Matthew Fisher was one of the early masters of the Hammond organ, the cabinet-encased keyboard whose full-bodied sound could go toe-to-toe with rock music’s dominant electric guitars. Procol’s 1967 mega-hit “A Whiter Shade of Pale” was constructed around Fisher’s magisterial organ but the fact that he received no songwriting credit (and hence no royalties) was a stick in his craw—and later a lawsuit. Departing P.H. 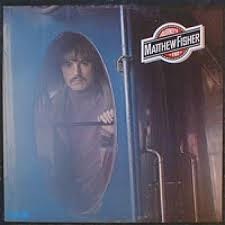 after three albums, Fisher’s first solo record was 1973’s “Journey’s End”, a worthy progressive-pop affair that was nonetheless filled with depressive lyrics that at times directed ill-will at his former musical colleagues, presumably the P.H. songwriting team of Gary Brooker and Keith Reid. These songs (“Going for a Song” and “Play the Game” especially) reveal a comprehensive bitterness at a divide-and-conquer music business that elevates talented and canny individuals and leaves by the side of the road other talented people less prepared to deal with its unsentimental ways. It’s not all gloom and doom, though, as Fisher’s deft melodic and instrumental skills serve as an uplifting counterweight and the would-be hit song “Suzanne” is a real winner. Fisher would go on to make a few more solo albums and find work as a producer—he even joined up with the re-formed Procol Harum in the early 90s. But soon after he left again in 2004 he brought a suit for a share of future royalties on “Whiter Shade”, noting his undeniable contribution to its success. A fascinating case to be sure and one found in Fisher’s favor in a decision ratified by the House of Lords in 2009. For more on that see below.